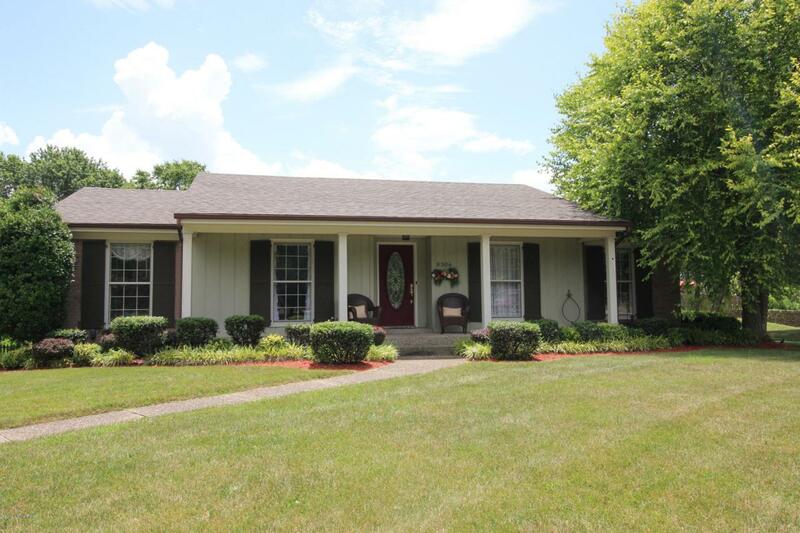 What a ''delightful'' home located on a ''delightful'' cul-de-sac in Fern Creek. Move right in to this 3 bedroom, 2 bath walkout ranch with plenty of room to spread out. The main level offers formal living and dining rooms as well as an eat-in kitchen and family room with electric fireplace. The walk-out lower level has another family room with wood burning fireplace as well as office space (wall cabinets to remain) and plenty of storage off the oversized garage. The sky is the limit to meet your personal needs with the space in the lower level. Additional features include a first floor laundry, newer hvac and roof (5 years), rear entry oversized 2 car garage, plenty of additional driveway parking, covered front porch, rear deck and patio areas and beautiful landscaping.